A couple of months ago I had to put one of my own cats down. Dear Wallace was everyone’s uncle, he didn’t have a nasty bone in his body and in truth, he wasn’t very smart. But this made him more endearing as he went through life constantly surprised by things that happened every day. I miss Wallace desperately. For weeks I’d start weeping because some small thing reminded me of him, from the silence when he normally cried at bedtime, to the lack of his furry body welcoming me home. My son is an artist, and he painted me a portrait of Wallace. My reaction? I burst into tears and cried for an afternoon. The picture is now in a safe place, and my son’s going to let me see it again sometime next year. What I’m going the long way round to say is that losing a pet hurts. It hurts a lot. If it didn’t, there would be something seriously wrong. Now I’m not a psychologist, but here are some thoughts that I share with grieving clients, and indeed applied to myself (with varying success) in recent weeks. From a short, sudden illness, to a pet at the end of a long life. (Poor Wallace just plum wore out. He reached a ripe old age and was too tired to carry on). Remember how happy their life was, and how safe and secure they felt. Know that love underlined all the decisions you made throughout their life, including at the end. It takes more courage and strength to put the pet’s best interests first and say goodbye than it does to let the pet struggle on. When you made the decision to let them go, it was a selfless act that saved them suffering. Guilt over putting a pet to sleep can magnify the feelings of loss. Be assured you didn’t betray the pet or let them down. They knew they were loved, and everything you did was out of love. That trust remained at the end and beyond so take comfort from knowing they remain steadfast in their trust and love for you. It’s good to talk. 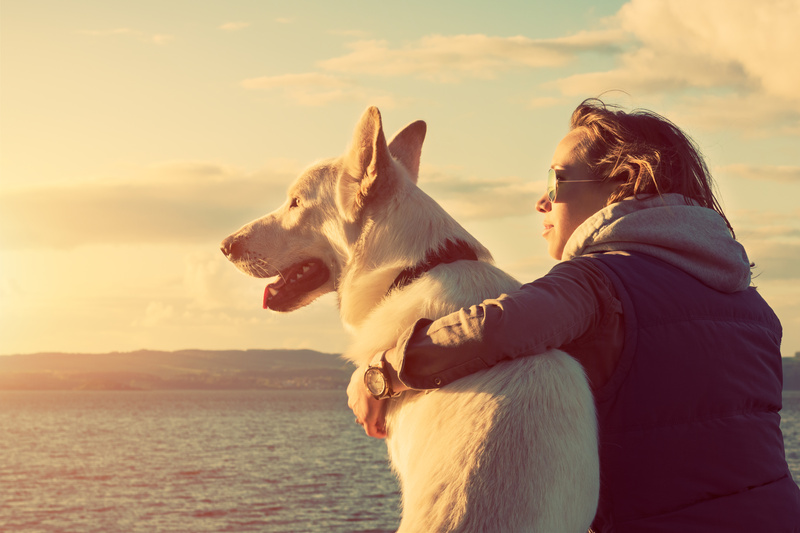 If a memory of your pet pops into your head, then say it out loud. My family have laughed a lot in the past couple of months as we remember the funny things Wallace did. Remember other people in the family are grieving too, and it gives them a chance to share their feelings. Your other pets miss their pal. Don’t ignore them in your own grief, but lavish attention on them. It helps pets to cope to stay in routine as much as possible, so stick with regular mealtimes and walks. Perhaps fit in extra grooming sessions as you will both find this soothing. If you have dogs, even if their oldies, try a spot of training. They will lap up the one-to-one attention, and stimulating them mentally helps bring them out of depression. Especially if you’ve lost your only pet, it can be tempting to dash out and replace them straight away. If you are clear this is what you want, then fine. But if there’s the shadow of a doubt, wait. The deceased pet was unique. A new pet has their own needs, and sometimes you’re just not ready to let go of the bond with the past and move forward, and you can start to resent the new pet. You will feel different one day—be that tomorrow or next year, so take your time. Grieving doesn’t mean you’re weak, or over-emotional, or you have lost a sense of proportion. It means you care. Everyone shows grief in a different way, and this is your way. Embrace it. Whether you lost a pet, or a friend is grieving for a pet–never judge harshly. If you are struggling, contact a Pet Bereavement Counselling Service. If you feel no one understands or friends shake their head and say, “But he was only a cat…”, then speak to people that do understand. Your veterinarian can give you contact details for a local organization, or you can search the internet. Now, I’ve written this article with only mildly moist eyes at the memory of Wallace, but if you’ll excuse me, I’m off for a good old blub.